← HISTORY: Alive or Boring? Of excessive heat and humidity. 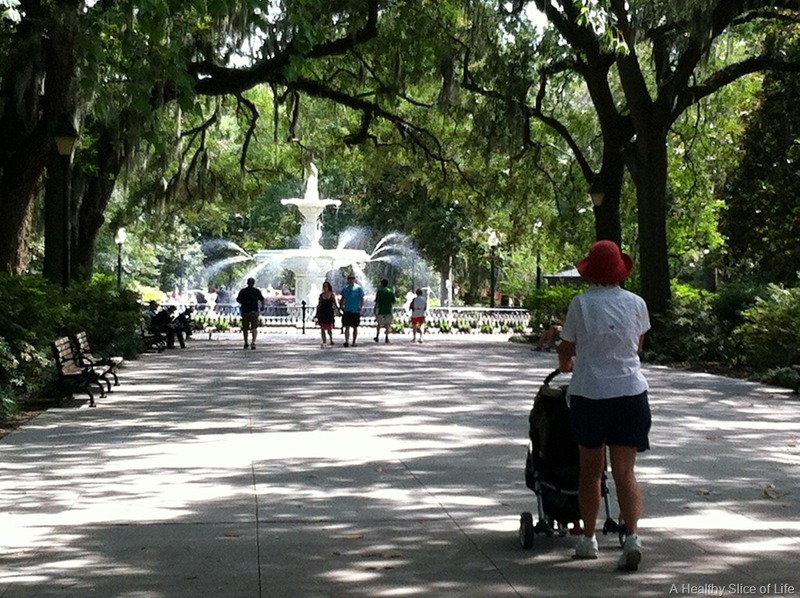 Forsyth Park is in Savannah, Georgia. I would have included my own pictures but they have mystriously disappeared. The photos you see were uploaded from the internet (source websites included). The 20 acre park was founded in 1851, the cast-iron fountain was built in 1858, and the monument to heroes of the Confederation (Civil War) in 1875. Dozens of tree species have been planted over the years. Forest Gump and Midnight in the Garden of Good and Evil are two of the more recent movies that were filmed there. What is your favorite park? Have you written about it yet? This entry was posted in Places to Visit, Scenery Descriptions & People I met, Travel, writing and tagged band shell, Civil War, Confederate Monument, Forest Gump, Forsyth Park, Fountains, Georgia, Midnight in the Garden of Good and Evil, Savannah, Spanish Moss, stage, trees, walkways. Bookmark the permalink. Thanks for the inspiration; I’ve writen about a park as a result – will post on Monday. Hi Rosalie. It’s always nice to know something I’ve written has provided some inspiration. I look forward to reading your post.